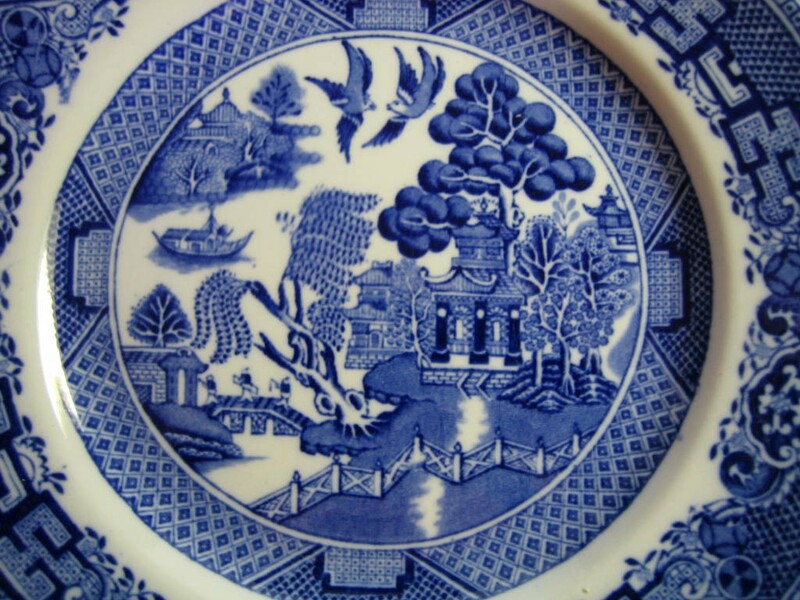 Click the button below to add the OLD Flow Blue White Chinoiserie Exotic Birds English Willow Plate L to your wish list. 9" Old. Depicts romantic story of two lovers caught by her father who turn into birds to escape. 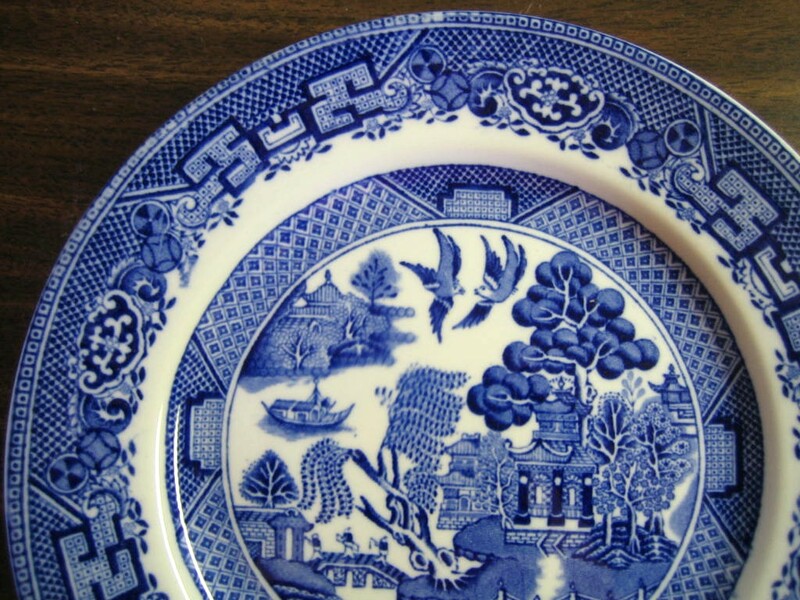 Made in Staffordshire England.